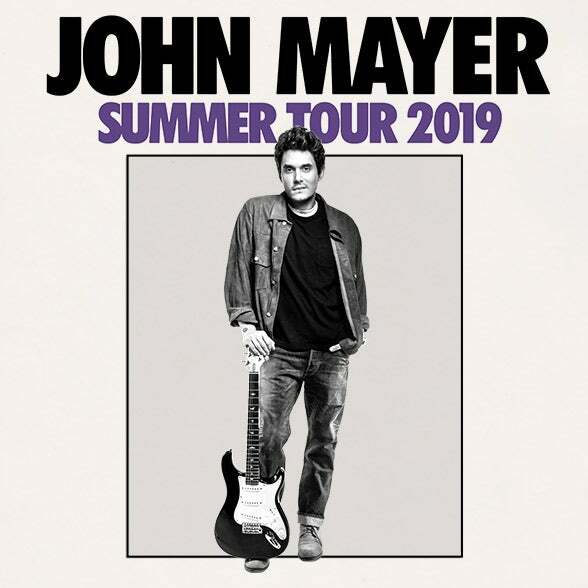 GRAMMY Award®-winning artist JOHN MAYER has added North American concerts to his 2019 World Tour, which will kick off in Albany, New York, on Friday, July 19, at the Times Union Center and will run through September with two shows at the "Fabulous" Forum in Inglewood, California. Tickets will go on sale to the general public beginning Friday, Feb. 1at noon local time through Ticketmaster.com. Mayer's 2019 World Tour launches in March in New Zealand and Australia and then heads to Asia through April. Known for numerous massive hits, such as last year's "New Light," "Gravity," "Love on the Weekend," "Heartbreak Warfare," "Daughters," "Waiting on the World to Change," "Your Body Is a Wonderland," and many more, these "Evening with John Mayer" concerts will feature two sets of music spanning his entire recording career. There will be no opening act. Singer/songwriter John Mayer has won seven GRAMMY® awards and has earned a record seven U.S. No. 1s on Billboard's Top Rock Albums chart and 25 entries on the Hot Rock Songs chart, the most for any solo artist. In 2018, he released the Gold-certified "New Light," while working on his eighth solo album, the follow-up to 2017's critically acclaimed The Search for Everything. For the third consecutive year, Mayer toured with Dead & Company in 2018, who played to over 500,000 people on its third and largest tour. Additionally, he launched 'Current Mood,' his highly regarded Instagram Live show on Sundays, which some have dubbed, "the best way to start the week on a high note, maybe even the only way." High res image is available HERE.